Get added power and upgrade the look of your 2014+ Mazda 3 with the CorkSport Power Series Axle-Back Exhaust. 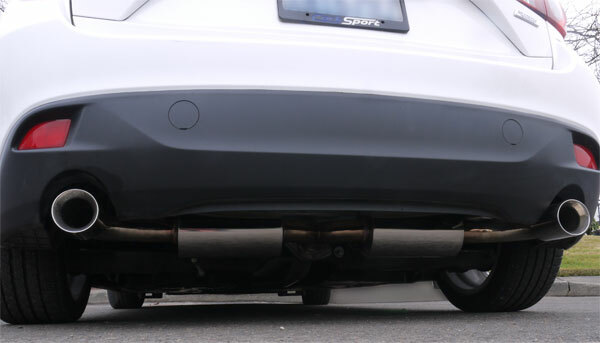 As a completely new vehicle, the engineers at CorkSport were given free rein to design an axle back exhaust in the best way fitting to the graceful design of the Mazda 3. Stainless Steel T304 construction with 100mm stainless tips for corrosion resistance and a clean stylish look. Order your Mazda 3 Axle Back Exhaust today. Order your Mazda 3 Catback Exhaust today. Remove the tendency to overpower the front tires under hard cornering and minimize traction-robbing body lean with the CorkSport Mazda 3 Rear Sway Bar. 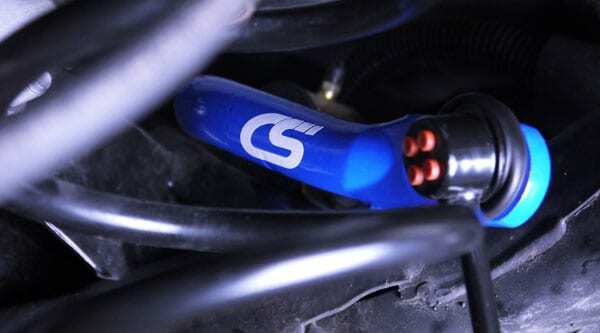 The CorkSport Adjustable Sway Bar will compress the inside suspension, this effectively increases the spring rate on the side of the suspension which is compressed most which will give better cornering. With the Rear Swaybar installed you will increase cornering ability, minimize body roll, and gain noticeable handling improvements. Order your Mazda 3 rear Swaybar today. Previous PostPrevious The Most Exciting Car Parts Order Ever?